With winter weather approaching in Oklahoma, now is the best time to schedule a heating system inspection. Homeowners can receive more than just the peace of mind that they will remain warm and comfortable all winter long; a heating system check by one of our professionals can identify hidden dangers and prevent a potential house fire or other preventable disaster. An HVAC check up includes a comprehensive overview of all heating system elements. A specialized Tulsa heating technician will look for damaged wiring, water leaks and rust, dirt or debris that could restrict air circulation and cause overheating, or fire. They will also look for any other signs of that could cause a furnace or heating system failure. Gas lines are another important reason to maintain heating system maintenance. Sometimes gas lines and other components can become loose causing a carbon monoxide leak. If your Tulsa home has poor ventilation a gas leak can easily become a devastating accident. This can be prevented with a regular yearly heating inspection. 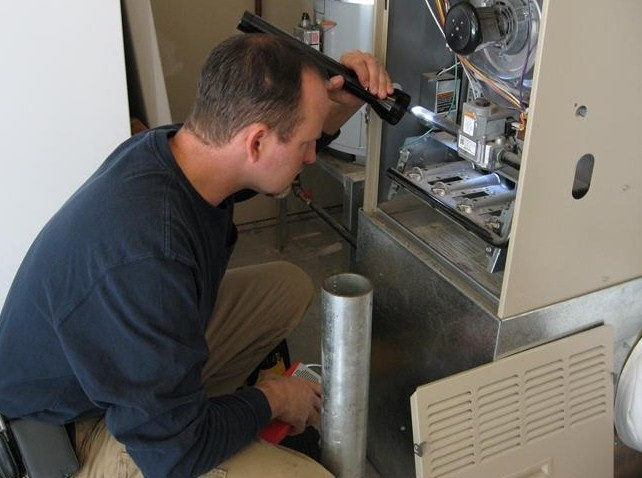 In addition to the safety aspects of an inspection, our technicians will clean your heating unit and make any necessary adjustments to increase the efficiency of your home’s heating system or furnace. Fall in Oklahoma can be the beginning of unpredictable winter weather, so don’t be left in the cold, call Circle B Mechanical today to schedule a heating system inspection. This entry was posted in Heating Repair and tagged heating repair, Preventive Maintenance. Bookmark the permalink.